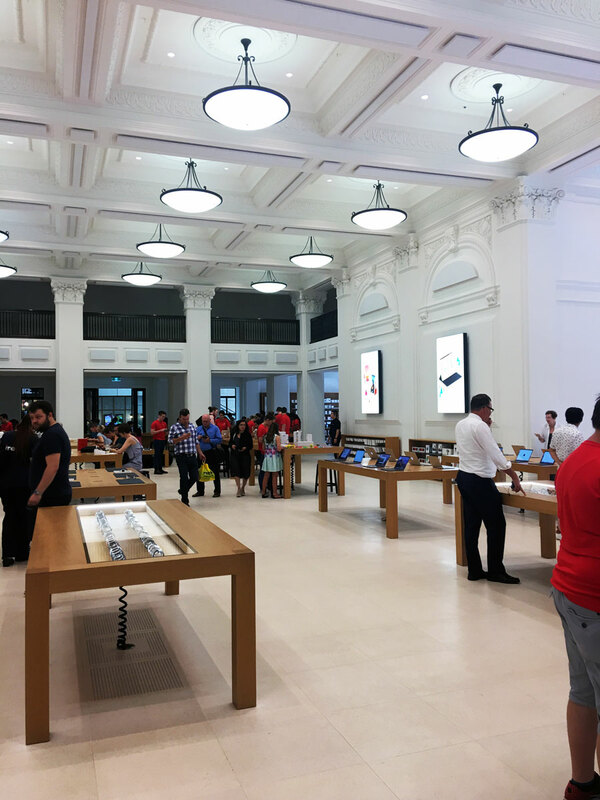 Check out Apple’s MacArthur Chambers store in downtown Brisbane, Australia. 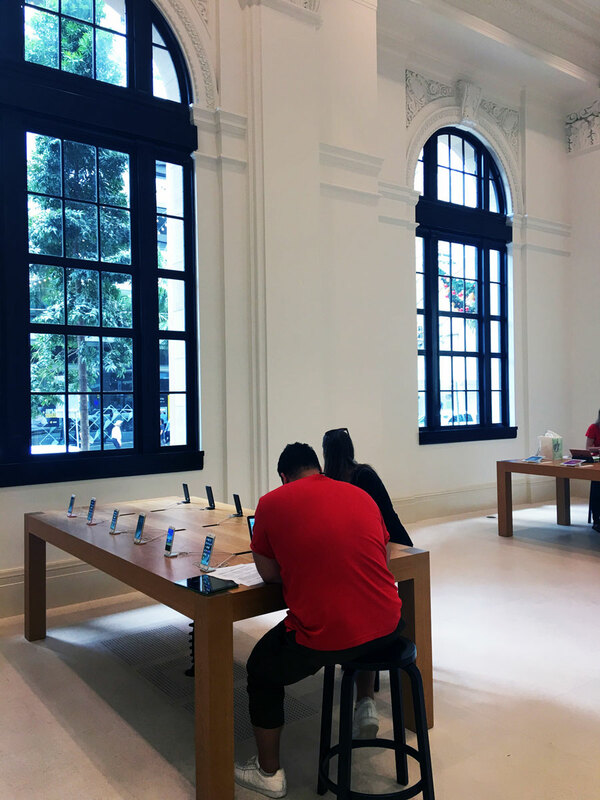 This is one of those Apple retail locations in an historic building—the MacArthur building is a sandstone beauty originally built in 1849. It was reopened in 1980 as a commercial and residential space, and Apple has been there since 2014. It’s a gorgeous affair, as shown by these photos sent in by a TMO reader who asked us not to use her name. All photos were taken with an iPhone 6 Plus. 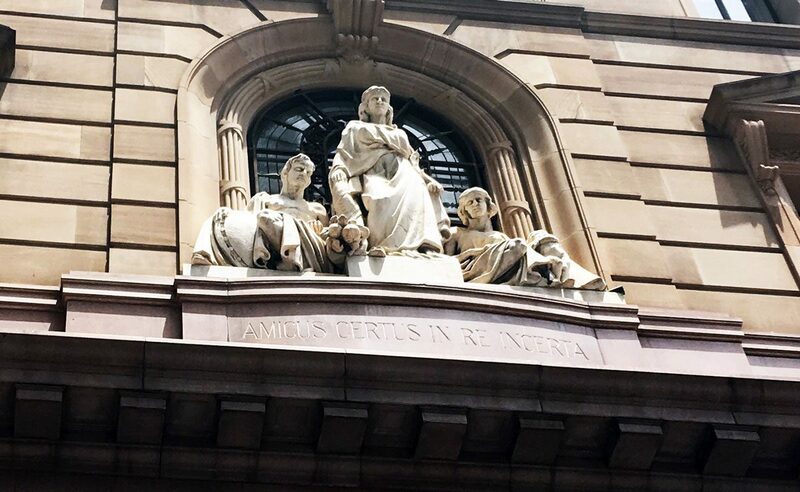 On the outside, it’s framed by six sandstone columns, three on a side, as shown below. Apple runs the bottom floor, with apartments in the floors above. 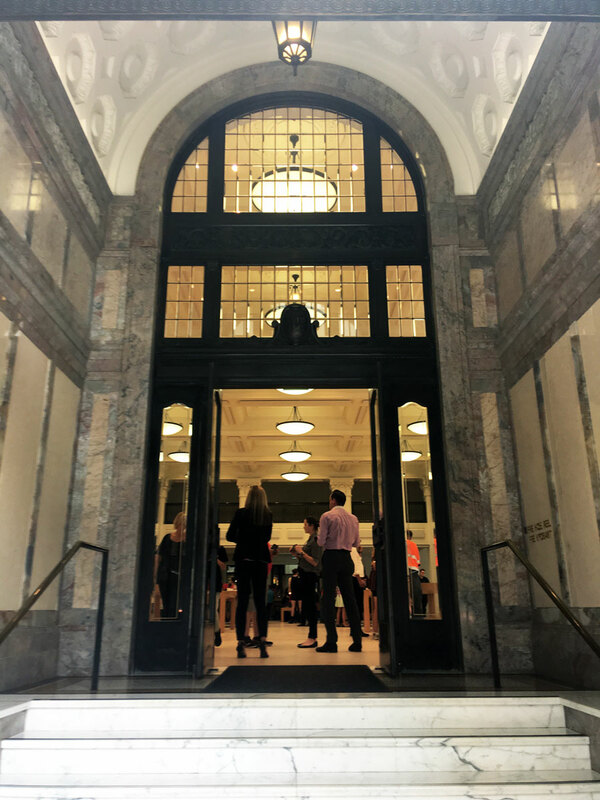 The 8th floor houses the MacArthur Museum—both the building and the museum were renamed for U.S. General Douglas MacArthur. He occupied the building when he was operating out of Brisbane during World World II, following his retreat from the Philippines. 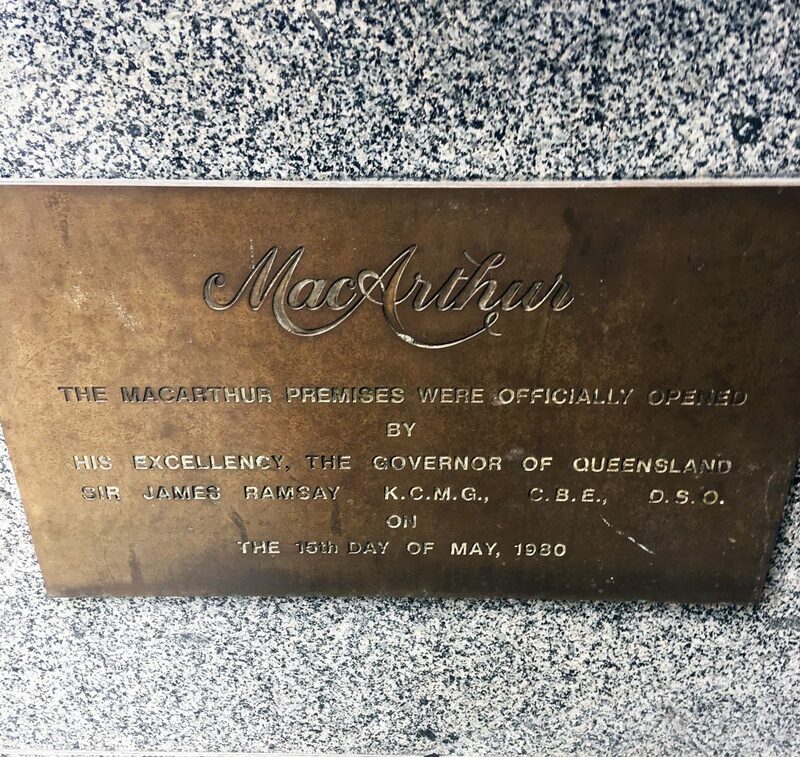 The government of Queensland posted a plaque for the 1980 commercial opening of the building. The entrance itself is a mix of what I believe is granite and sandstone. Perhaps someone with more knowledge of rocks can offer better info. Note the ornate ceiling above the entrance. Inside the store is more ornate ceiling work, ornate columns, and ornate flourishes on the walls. 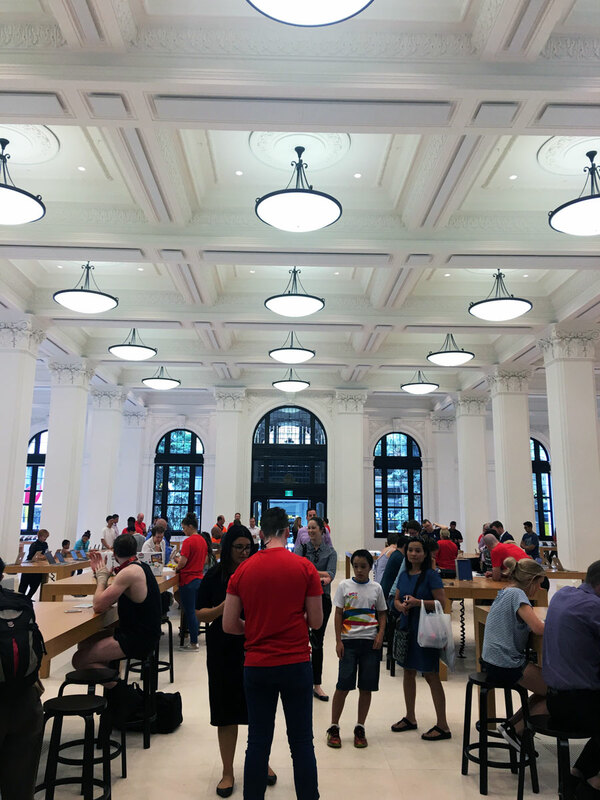 As an historic building, Apple was required to meet local requirements on preserving much of it when setting up it up for retail. This is a very large Apple Store. It may not be immediately evident in the photo below, but this is the just one part of the building. Behind the columns in the background is another large room. The ceilings are high, and I can’t imagine the work needed to keep them clean. Here’s a view from the other direction. There are large windows lining the walls looking over the sidewalks outside. Note the ornate details in the arch at the top of the window. 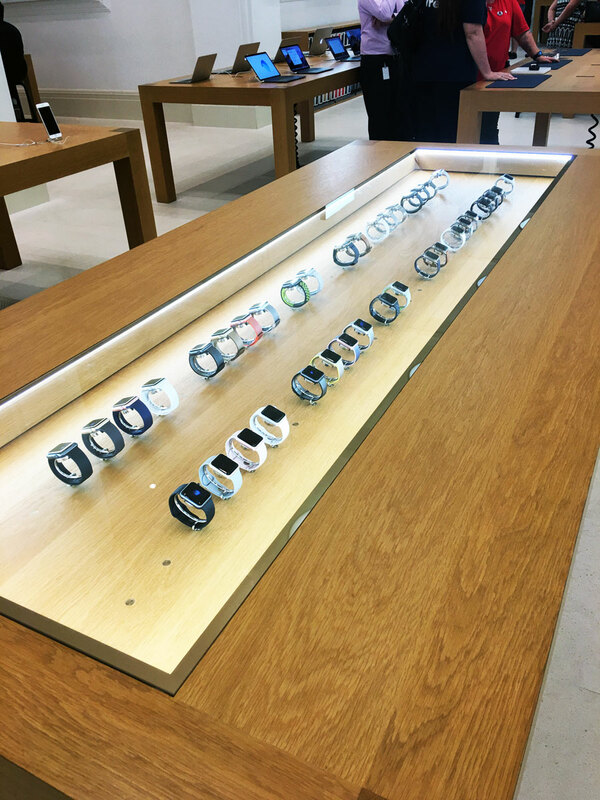 The display tables are similar to other Apple retail locations. Apple Brisbane’s tables are made of a dark wood, with a mix of light and darker accents. Like I said, it’s a gorgeous building, and definitely one of Apple’s more interesting retail locations. Thanks for filling in some of the holes, Kerry! Much appreciated. The building was opened in 1934. 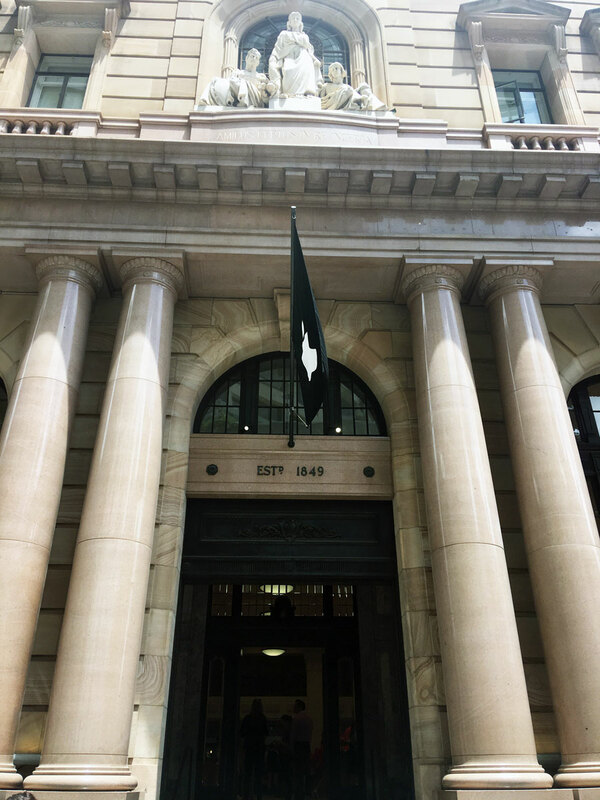 The 1849 date refers to the foundation of the Australian Mutual Provident Society. The society’s motto was “Amicus certus in re incerta” (there is no word missing from the photo) and translates to “A certain friend in uncertain times”. 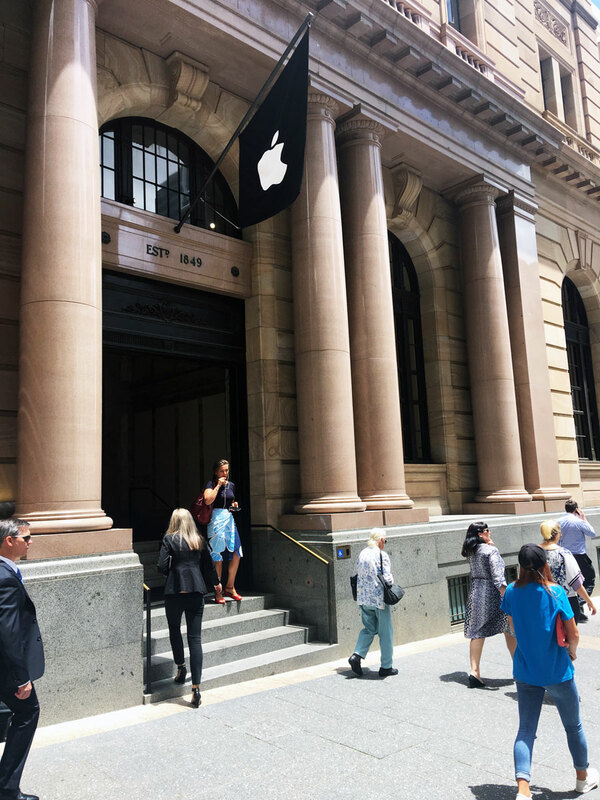 The Apple store is located in the former banking chamber. The opening ceremony and original architect was extensively reported at that time (see here).